Could You Be Developing This Disorder? Home » General Health » Could You Be Developing This Disorder? Waking up to a fresh pot of coffee is routine for many of us. We can’t get out of bed without it! Having an additional two or three cups to get through the day seems normal, but could your daily coffee intake be taking its toll on your health? Your dependency on coffee could mean you have “caffeine use disorder” – a newly recognized disorder and the subject of a recent study by the American University in Washington, D.C.
Caffeine is hard to avoid. It can be found in coffee, tea, soft drinks, chocolate, over the counter drugs and in many foods as an additive. It’s the world’s most commonly used drug, based on stimulant properties, and is nearly impossible not to ingest. 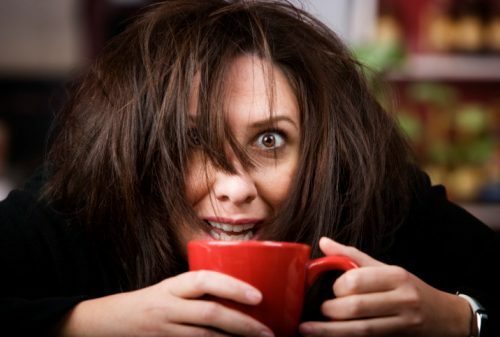 Laura Juliano, psychology professor and co-author of the American University study, has discovered that withdrawal symptoms from caffeine are cause for alarm, and people with caffeine use disorder require treatment. What Is Caffeine Use Disorder? It’s official: Caffeine use disorder was recognized by the American Psychiatric Association (ASA) in spring 2013, and has been included as a disorder within the fifth edition of the Diagnostic and Statistical Manual of Mental Health Disorders (DSM). A behavior is considered a disorder based on a combination of symptoms that a patient tells their doctor. In the case of caffeine use disorder, withdrawal symptoms such as sleepiness, anxiety and mood changes classify a caffeine user with the disorder. We’re not suggesting coffee is bad – many studies show that its caffeine stimulant can improve mood, reaction time, memory, vigilance and general cognitive function. But some people are more sensitive to caffeine and over-use can lead to debilitating symptoms. Juliano, who also is an advisor for DSM, notes that caffeine is not difficult to give up for the majority of us, but people with the disorder find it extremely difficult to reduce or eliminate their caffeine intake. In fact, quitting coffee has been compared to quitting smoking. Excessive caffeine users, just like smokers who want to kick the habit, require assistance to reduce or stop their caffeine use. A group called Caffeine Addiction Affects suggests various treatments for those with caffeine use disorder: a holistic treatment program, hypnosis therapy, creating a plan to increase minerals and vitamins, and increasing your exercise and water intake to improve detoxification. The research examined previous summaries of caffeine use research. The results showed that caffeine users had a high dependency on the drug as well as a variety of symptoms which were both physical and psychological. These users had tried to give up caffeine but failed, continued to use caffeine even though they experienced problems, and all experienced withdrawal symptoms. The researchers recognized that further study is required to fully understand caffeine use disorder. The research also found that pregnant women should not exceed 200 mg of caffeine per day, as it can pose risks to their child. The average eight-ounce cup of coffee contains 137 mg of caffeine, whereas a decaffeinated cup has only 5 mg.
People with anxiety or insomnia, who have high blood pressure or heart problems, should also keep their caffeine intake to a minimum, at about 200 mg a day. Mood Altering Effects: Non-regular users, those who consume 60 mg to 160 mg a day, will get a feeling of “pick me up” and happiness when they ingest caffeine, but individuals dependent on the drug will feel anxiety, nervousness and upset stomach. Reinforcing Effects: This refers to the drug’s ability to be self-administered. This is easily done because of how accessible caffeine is, because it comes in so many forms. Anxiety: High doses of caffeine – over 200 mg – have been known to increase anxiety and bring on panic attacks. Sleep: Most of us use caffeine to stay awake during the day, but the long-term effects of regular use are delayed sleep, restless sleep and interrupted sleep. Other warning symptoms include headaches, fatigue, difficulty concentrating, work difficulty, irritability, depression and flu-like symptoms. If you are experiencing these types of symptoms with your daily java, see a medical professional. If it seems difficult to cut back on your caffeine use, then it may be time to see if you have caffeine use disorder, and get help. As with so many aspects of our lives, all things should be done in moderation, so ensure you not exceeding your suggested daily joe, and try swapping out the caffeine for a glass or two of water.